Essential Bioinformatics is a concise yet comprehensive textbook of bioinformatics that provides a broad introduction to the entire ﬁeld. Written speciﬁcally for a life science audience, the basics of bioinformatics are explained, followed by discussions of the state-of-the-art computational tools available to solve biological research problems. All key areas of bioinformatics are covered including biological databases, sequence alignment, gene and promoter prediction, molecular phylogenetics, structural bioinformatics, genomics, and proteomics. The book emphasizes how computational methods work and compares the strengths and weaknesses of different methods. This balanced yet easily accessible text will be invaluable to students who do not have sophisticated computational backgrounds. How to get e-books for free ? STEP 2: CLICK THE LINK OPEN THE EMAIL, AND CLICK ON YES, SUBSCRIBE ME TO THIS LIST UNDER PLEASE CONFIRM SUBSCRIPTION. 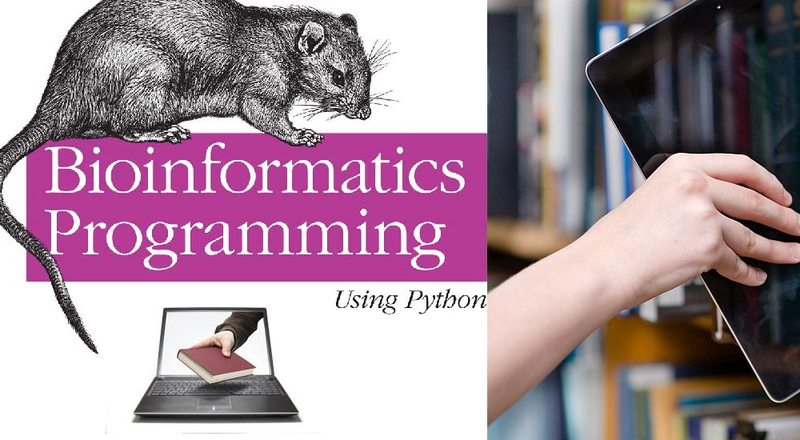 This book is designed to teach you bioinformatics software development. There is no computational biology here: no statistics, formulas, equations—not even explanations of the algorithms that underlie commonly used informatics software. The book’s examples are all based on the kind of data life science researchers work with and what they do with it. The book focuses on practical data management and manipulation tasks. The term “data” has a wide scope here, including not only the contents of databases but also the contents of text files, web pages, and other information sources. Examples focus on genomics, an area that, relative to others, is more mature and easier to introduce to people new to the scientific content of bioinformatics, as well as dealing with data that is more amenable to representation and manipulation in software. Also, and not incidentally,it is the part of bioinformatics with which the author is most familiar. how to get ebooks for free ??? NaveeNBioinforMaTics-any thing about bioinformatics © 2015. All Rights Reserved.